Chirbit | Blog - One Free Ticket to the Atlanta Mashable Mixer Tonight! One Free Ticket to the Atlanta Mashable Mixer Tonight! 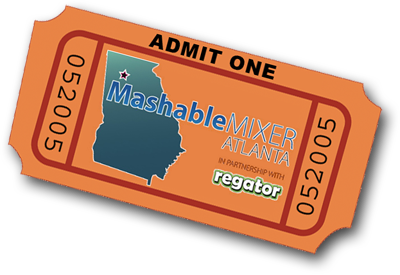 Chirbit has one ticket available for tonight's sold out Mashable Mixer in Atlanta. If you want to go, sign up to chirbit and record a message telling me why you want to go, tell me a great joke, or sing a song, (anything really as long as it is fun and creative) and tag it with "mashlanta". I will pick the best answer at 3:30PM today. I will announce it on our twitter account and notify you by email. Don't forget to send me a note on our twitter account (@chirbit) ideally with a link to the chirbit you recorded.